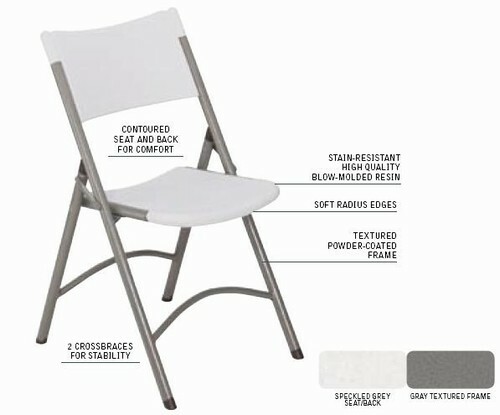 Blow Molded Folding Chair, Speckled Grey from National Public Seating Corp. This high quality Blow Molded Resin Plastic folding chair features a contoured seat and back for comfort. 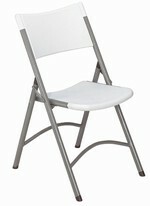 Lightweight for easy handling, they are stain resistant and perfect for easy setup and tear down, indoors or outdoors. Textured powder coated frame in gray has two crossbraces for strength. Available in Speckled Grey with a Textured Grey frame.